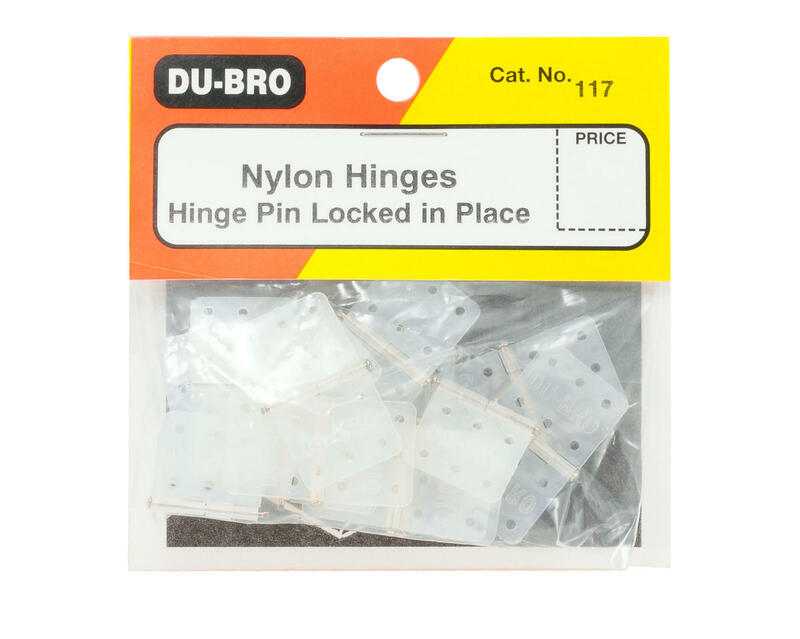 This is a pack of fifteen Du-Bro Nylon Hinges. These precision molded hinges have been inspected and assembled with a locked in hinge pin for durability. 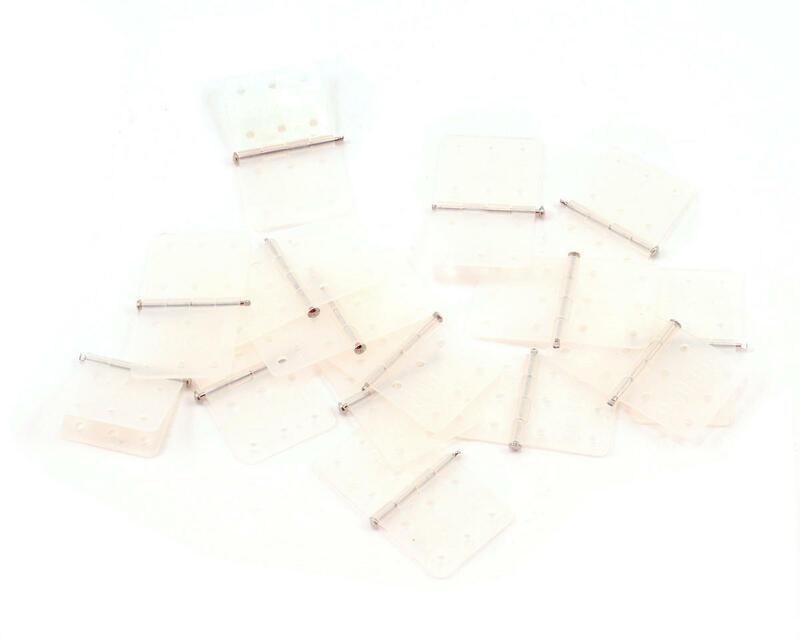 They are flash free to help with a clean and simple install, and have 6 holes on each side for maximum holding power. Hinges measure 5/8 (16mm) Wide x 1 1/8 (28mm) Long.